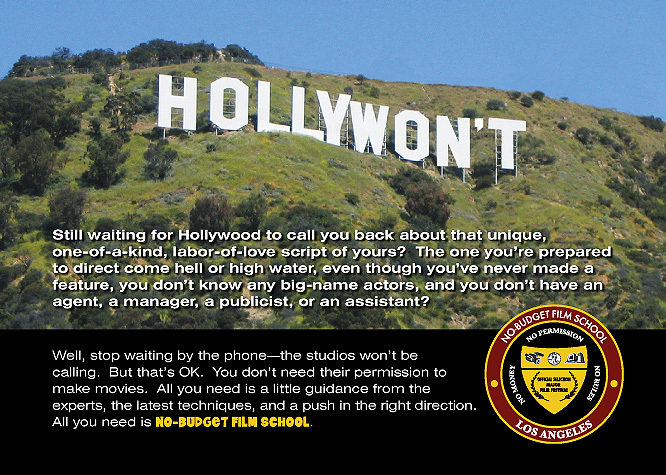 "The absolute best class you can take on how to make your own low/no budget film. Seriously." " Thank you for an enlightening and entertaining day. Your experience and demonstrations of your subject matter was one of the best I've seen...you brought all that knowledge down into a single "package" that makes us all realize the vast differences between the way many of us have been making pictures for eons, and the new wave of no-budget production."